Everyone needs to report to the Tilcon parking lot Rt. 68 Wallingford/Durham line (1605 Durham Road Wallingford). Due to all the rain we received the Greenbacker lot is closed. We were reassigned to ONLY the Tilcon parking lot so if you were previously assigned to the high school or any other location you have been reassigned to the Tilcon parking lot. We are being told all the parking lots run by the fair that are still open will be free. We don’t have a list of those locations. Call Ryan for more details. Don’t forget your folding chair. The refreshments and food will be at Tilcon so we will see you there for your free Limited Edition NHPES t-shirt!! Here’s an old one but still interesting to say the least. I know pigs can fly…. but alligators? There are a few things alligators do well: chomping on stuff, looking like dinosaurs, and gliding around in swamps, marshes, and the like. They are not good at flying, however, and as such, should not be tossed carelessly into the drive-thru window at Wendy’s. A Florida man was arrested recently for allegedly attempting to do just such a thing. 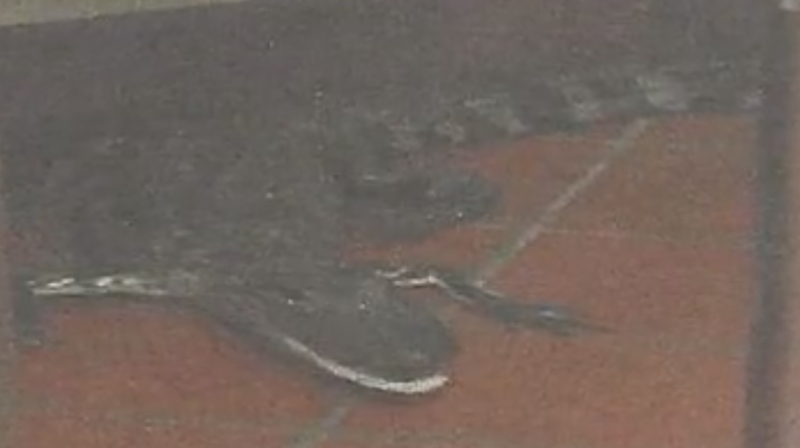 While it’s unclear whether he was asking employees to cook up the reptile, a Florida Fish and Wildlife Conservation Commission incident report says the man heaved the gator into a Wendy’s restaurant in Royal Palm Beach last October, reports WPTV. The suspect was only just taken into custody by U.S. Marshals recently, however. Officials say the 23-year-old man had pulled up to grab his order, and a server handed him a drink. When the worker turned around, the man allegedly reached into the back of his truck and threw the three-and-a-half foot alligator through the open window, where it landed inside the restaurant. Law enforcement say the suspect admitted to picking up the alligator by the side of the road and bringing it with him to Wendy’s. The gator was later released into a nearby canal to go about his day, while the customer is facing charges of aggravated assault and unlawful possession and transportation of an alligator. If you want to read some other strange police stories you can click here. Three American hackers were sentenced this month to include five-year probations, 2,500 hours of community service, an order to pay restitution of $127,000 and the voluntary abandonment of cryptocurrency seized during the investigation. Cryptocurrency is a digital or virtual currency that uses cryptography for security. Cryptography is the method of storing and transmitting data in a particular form so only those who it is intended for can read and process it. Therefore cryptocurrency is difficult to counterfeit because of this security feature. Cryptocurrency isn’t issued by a central authority rendering it immune to government interference. You can read more on cryptocurrency here. Paras Jas, 22, of New Jersey, Josiah White, 21, of Pennsylvania and Dalton Norman, 22, of Louisiana pled guilty to charges of conspiracy to violate the Computer Fraud & Abuse Act in the creation and operation of malware that infected users’ computers and made them remotely controllable. The three defendants were responsible for creating the Mirai botnet and were convicted of infecting more than 100,000 computing devices. As part of their sentence they are required to assist the FBI in other cybercrime investigations. You can read the entire press release here. The Mirai botnet targeted Internet of things (IoT) devices, which is a blanket term for devices (the “bot”) that most people don’t think of as computers, but that still have processing power and an internet connection. These devices can range from home routers to security cameras to baby monitors. By 2017 there were 8.4 billion of these devices out there on the internet. Mirai took over these devices by finding an open internet connection and then attempted to log into the device by using 61 username/password combinations that are frequently used as a factory default and never changed. 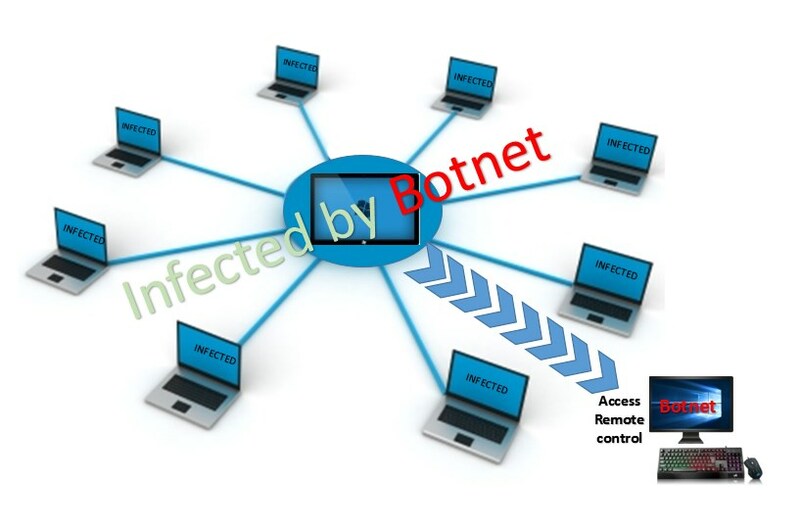 This botnet had taken over 100,000 devices. Once Mirai took over a device it looked for other malware on that device and wiped it out so it could claim it. They launched Distributed Denial of Service (DDoS) attacks using these bots. A DDoS attack is when the perpetrator attempts to make a network unavailable to its users by flooding the targeted service with too many requests for the service to handle all at once. You can read more on the Mirai botnet here. Jas, White and Norman have already provided assistance “that substantially contributed to active complex cybercrime investigations,” according to court documents. They will be required to continue to assist in defensive efforts and cooperate in research studies. 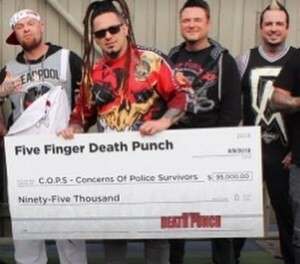 In September the metal band Five Finger Death Punch donated $95,000 of concert proceeds to support families of fallen police officers. The band announced in June that they planned to donate a portion of ticket sales from their upcoming tour to Concerns of Police Survivors (C.O.P.S.) 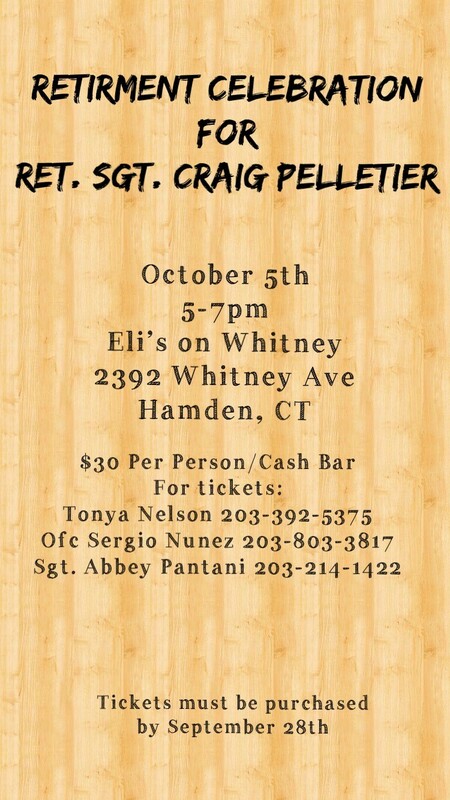 an organization that supports families of officers who have died in the line of duty. We’ve had the privilege to work with veteran and police organizations for years,” Five Finger Death Punch guitarist Zoltan Bathory said in a statement. “Today, we are making this donation as a token of our respect and gratitude to those who committed to protect and serve, to those who signed up to bravely hold that thin blue line between ‘civilization as we know it’ and ‘lawless savagery and chaos’. Unfortunately, every 58 hours a police officer who believes in something sacrifices everything and dies in the line of duty. C.O.P.S. (Concerns of Police Survivors) helps and benefits the families of our fallen heroes in blue” according to the website consequencesofsound.net. You can read the entire article by clicking here. What a great show of support for the Police community and the families of the true heroes who have made the ultimate sacrifice. Sacramento County California lost a hero yesterday. 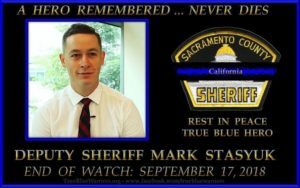 On 09/17/18 Deputy Sheriff Mark Stasyuk was shot and killed at approximately 1:50 pm as he and another a deputy responded to a disturbance call at an auto parts store at 10899 Folsom Boulevard.